There’s a better way to manage electronic documents. And we’ve got it. Document management is the process used to store, manage and track electronic documents. Since millions of documents are created each day with different naming conventions and indexing methods, managing documents can be a monumental challenge. Our integrated solutions combine the management of paper and electronic documents into a single, seamless platform that puts you in complete control of information, compliance and budgets. Papervision, our easy-to-implement Enterprise Content Management System (ECM), simplifies the process of organizing, storing, retrieving, controlling and managing information and information-related workflows. Highly scalable, Papervision can run on a single desktop or on thousands of computers nationwide. Search and find documents in seconds. Flexible security controls give you the ability to control on the document level who reads, edits and shares documents. Create audit trails, document history reports and security logs. Automate the purging of records to comply with internal and external regulations. And our powerful workflow application gives you the ability to automate standard business processes, freeing up time and staff. Papervision integrates seamlessly with more than 300 other platforms and programs including Microsoft Office. Our comparative analysis algorithm automatically groups identical documents based on textual patterns. Our system learns with every new document added and suggests new groupings. Our system will identify value patterns to automatically name and group similar documents within logical clusters. Naming automation can reduce business process time by 50%. Allows us to extract data-points within your documents, making it easy to generate improved business insights. 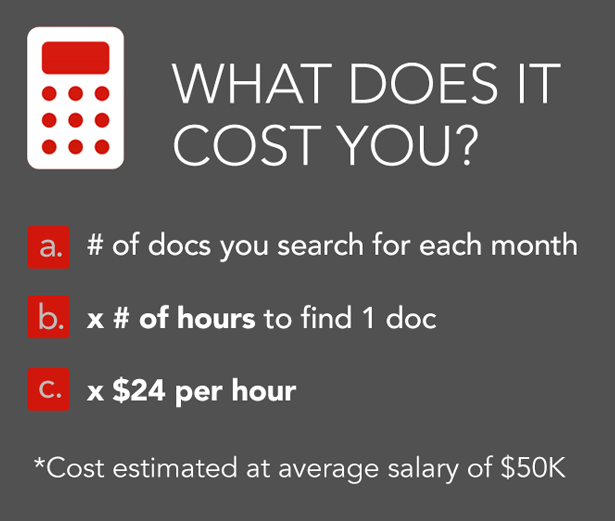 We can search millions of documents in seconds. Our ECM is constantly testing and looking for new values to ensure your organization has a clear look into your information. Export functionality allows for a seamless document migration back to your system regardless of file format.